Secret Sauce Studio is an animation studio with staff from around the globe. We specialize in short-form, hand drawn, high-action 2D work suitable for commercials, teasers, cinematics, and animated shorts. We are able to handle the full pre-production workflow. Need a dash of character design? 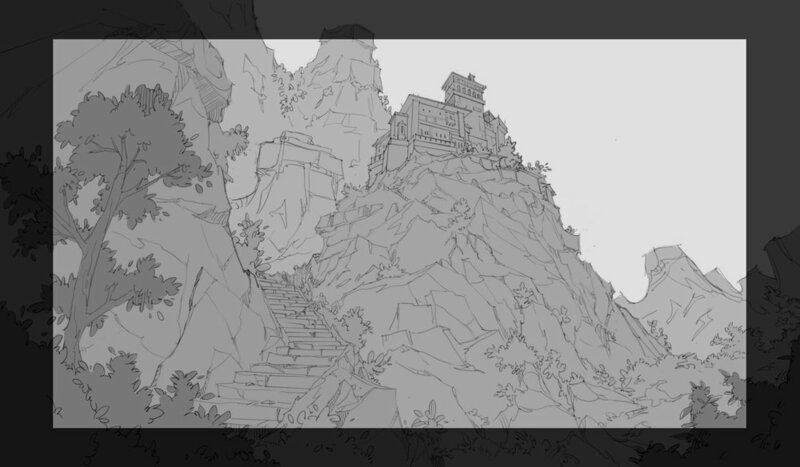 A smattering of background concepts? Our team has the professional experience to cover a wide range of 2D styles. Hand-drawn, frame-by-frame ingredients create our primary flavor. We are your one-stop studio. Everything from concept art to fully-realized animation with sound is in our kitchen. The chief chef of Secret Sauce. An excellent character and story concept designer with over 15 years of experience in the graphic novel industry. The primary sous-chef for all things visual at Secret Sauce. A technically-inclined artist who is able to wear any hat in the kitchen. The sous-chef that makes the business ends meet. Has over 10 years of experience in television animation that is used to create a pressure-free environment for the kitchen. The sous-chef who takes to the front lines in each production. An ever-prepared artist whose grip on the pencil is just as sharp as his kitchen knife. The backbone of all background work at Secret Sauce. This sous-chef brings dynamic angles, bold compositions, and zesty environments to the table so consistently that you can set your watch by delivery. The shining, humble sous-chef whose zen-like approach to color sets the perfect key for production. Lighting, tone, and color theory are only primers in the vibrant palette this painter uses to satisfy any palate.